We see it everywhere now, cleansing / exfoliating powders. An ancient concept and like many other asian girls something we took for granted as a part of our childhood. I distinctly remember when I was little, my Mum made a paste and gave me a bath with that paste. Yes all over the body. Many of you will instantly think of garbanzo bean powder, turmeric and milk….yes that’s exactly the ubtan I’m referring to. That exact concoction is also applied to a Indian brides before the wedding. It’s said the ubtan aids exfoliation and imparts glowing flawless skin. So you ask, well explain what is an Ubtan? As per ancient Ayurvedic principles and texts, it is roots, flowers, mud, clays grounded and mixed in a powder form. The Benefits are endless – Natural ground powders of clay, mud, roots, flowers, spices, salts, lentils, dried fruit skin’s which can be mixed with rose water, milk, honey, yogurt whatever your skin and heart desires. Aids exfoliation, helps with glow, wonderful cleanser, incredibly cost effective however there are plenty of options to spluge on. Multi purpose as it can be cleanser or mask or an exfoliator. Finally the western world of skincare has caught on, well more specifically ‘western natural skincare world or green beauty world’, call it what you may! From May Lindstrom to Leah Lani, they’ve all formulated a version of their very own and sold as cleansing powder or exfoliating powder. 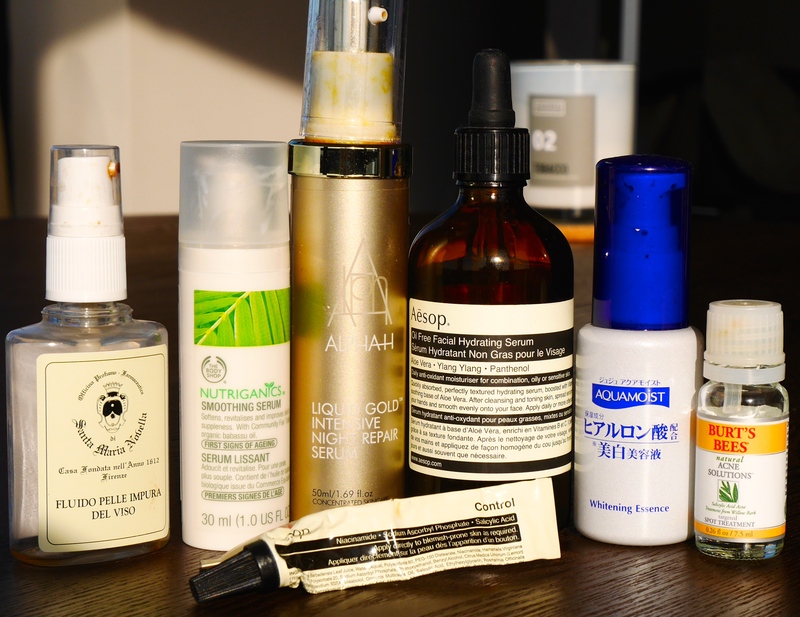 The ingredients are varied between brands but after a while you tend to see a consistent trend (albeit with slightly different proportion and formulation). The common ingredients that overlap between some of these products are Sodium Bicarbonate (resulting in fizzy emulsion making it more appealing & fun), Sea Salt, Vitamin C, Marshmallow Root, Clay Powders. The first three ingredients mentioned is what clearly sets the Western Cleansing Powders apart from traditional Ayurvedic ubtans which are far more gentler on skin and dare I say far more “green” for skin! Soundarya – orange peel, rose, jasmine, neem, oatmeal, sandalwood, turmeric, fennel, anantmool, saffron flower, lemon peel and star anise. Mridul (face & body) – oatmeal, green gram, almond, neem, sandalwood, turmeric, rose and fennel. The web is also inundated with several DIY recipes, of which garbanzo bean powder, turmeric and milk or ghee is by far the most popular. However based on your skin’s needs, concerns and what’s available in your kitchen, these ingredients can also be used: Oatmeal, almond meal, rice flour, sandalwood powder, fenugreek powder, turmeric, grounded spices (cinnamon, clove, star anise). Mixing bases may include purified water, rose water, milk, cream, yogurt, honey, lemon juice, aloe vera juice, vinegar. Ultimately it filters down to what your skin needs, how much are you willing to spend, where your brand loyalties lie, are you preferences with traditional ubtan or westernized version etc. Personally I’ve tried homemade Grandma’s ubtan recipes to modern Ayurvedic shops like Forest Essentials and Kama Ayurveda. My personal preference lies with more traditional format minus Vitamin C, Sodium Bicarb, Sea Salt. Peeling Gel – Groundbreaking…Absolutely Not, here’s why! Peeling gels are very popular in Asian skincare and gradually bursting on Western skincare scene. Don’t get me wrong, I enjoy using peeling gels but have a proper problem with the way they’re sold to consumers. We’ve seen Peter Thomas Roth, Boscia, Attitude Skincare, Seacret etc releasing their versions of peeling gels. 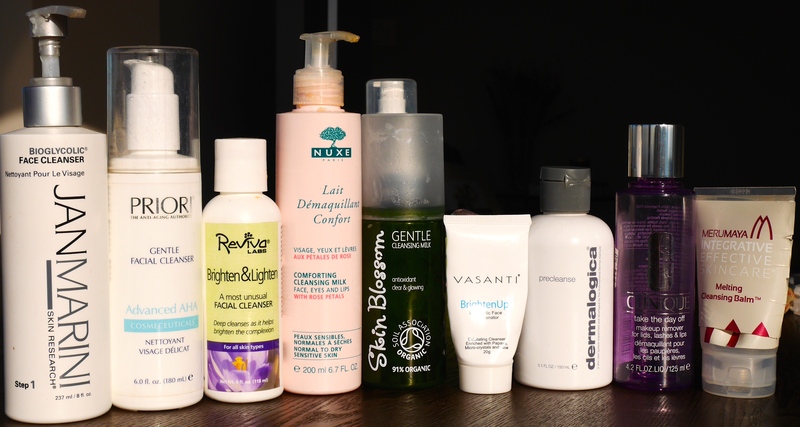 Let’s get one thing clear on the onset, neither are they serums nor exfoliators. Certainly not a chemical exfoliator, and in my opinion not a mechanical/physical one either. They claim as you gently rub the product on your skin, the product lifts, rolls and sweeps dead skin cells off your skin. Seriously who buys that? Your dead skin will just roll off….? My curious investigative mind, led me to finding the catch. Always in the inci list and some google search on specific ingredients can open a world of knowledge. So all these peeling gels have one ingredient in common, Carbomer! It forms a film on the skin and then as we obediently follow the product instructions and rub all over our skin, Carbomer gets crumbled/rolled/lifts/sweeps dead skin cells off our face. False and misleading marketing leads naïve consumers to believe that rolled off Carbomer is actually dead skin. May be…just may be some flaky skin might get rolled off with Carbomer but it is not “all of your dead skin”. Think about it, your skin might fall off your face. I know these products have earned some serious raves in the blogosphere based on the belief that dead skin rolls off our face. However I felt the need to get real with this concept. Having said all this, I still enjoy using these products. Sometimes skincare doesn’t have to be all serious business. Good morning beautiful people 🙂 Ive been away traveling for work and when I return home I find a nice welcome home package waiting for me. Yes its Birchbox time. Derma E Anti Wrinkle Vitamin A and Glycolic Scrub – Trialled this last night after a draining and dehydrating flight home, it just gave my skin a boost. Its going to be my travel companion. Fake Blowout Hair Refresher Dry Shampoo – Loved the fragrance of the dry shampoo, but yet to try it properly. Summit Color Contrast Eyeliner (shade teal) – Holy smokes, this liner doesn’t budge or smear at all. Its soft, smooth no need to pull or tug the eye and incredibly pigmented. Need an oil based cleanser to get rid of it. Certainly will purchase black and brown shades of this pencil. theBalm Read my Lips – Such a lovely peachy coral-ly shade, nicely pigmented, very moisturizing to the lips. Definitely purchasing a full size tube and curious to explore other shades. Overall this month made up for last months boo-boo. I also love the classy floral print on sides of the box 🙂 Birchbox you made me a very happy gal for the short month of Feb.
Did you receive your boxes, what did you think of them? GOOD LORD!!! Where did 2014 go? This is pretty much the same thing I say every year end. 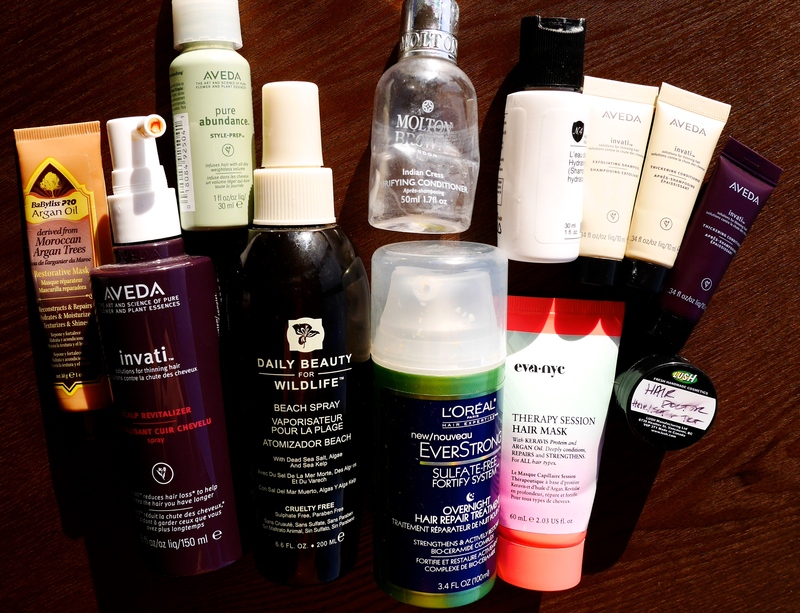 Anyway so as I mentioned few months ago, I was gathering most of my empties for 2014 and would do a post on them. So without further ado let’s get started (based on categories). Andalou Naturals Clemetine Ginger Shower Gel – nice while it lasted. 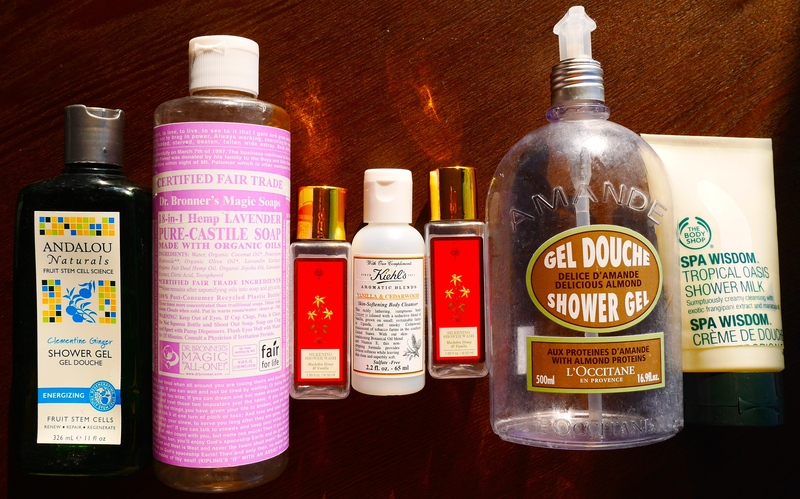 Dr Bronners Magic Soap – comes in many fragrances and I’ve pretty much tried ‘em all. Always a repurchase. Forest Essentials Mashobra Honey & Vanilla Shower Wash – got these during our holiday in India and these smell heavenly. Kiehls Vanilla & Cedarwood – nice but not a repurchase left my skin dry. L’occitane Amanda Shower Gel – Love & repurchase. The Body Shop Tropical Oasis Shower Milk (now discontinued) – creamy wash which smells frigging awesome but sadly discontinued. 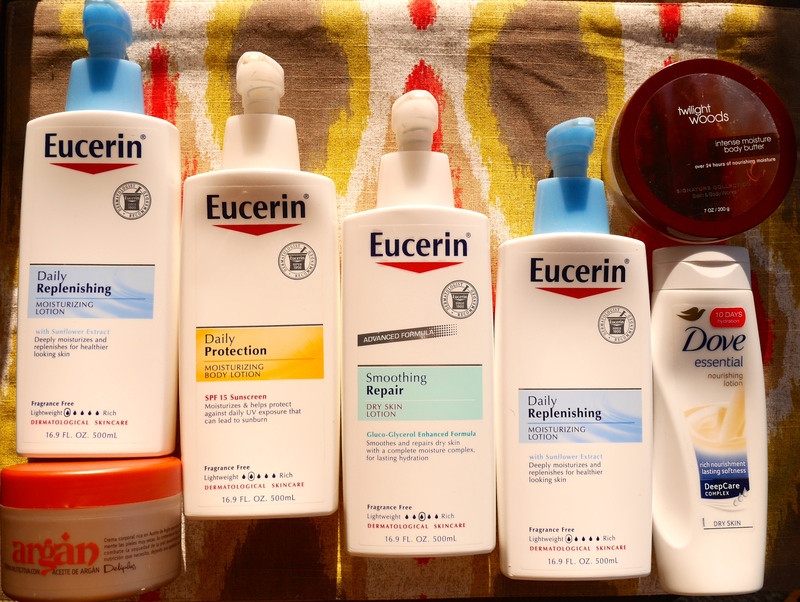 Yes I’m Eucerin Junkie and so is my husband. One bottle for each quarter. Dove Nourishing Lotion – this was a holiday emergency purchase, needless to say went back to Eucerin. Argan Body Crème – this stuff is RIDIC, sold in Spain supermarkets for ‘a Euro’ and smells divine and ultra-nourishing. Waiting for next Spain trip to stock up. Bath and Body Works Twilight Woods – purely used it for its fragrance period.! 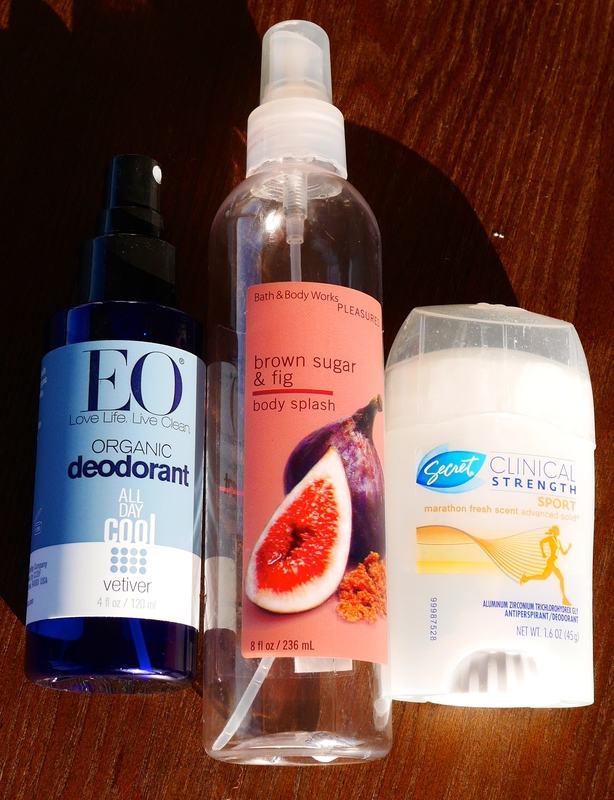 EO Organic Deodorant – purchase from Whole Foods, nice while it lasted. Bath and Body Works Brown Sugar and Fig Body Splash – simply and purely for fragrance. Secret Clinical Strength Sport – have repurchased this many times and will continue to do so. This one is a mixed bag. Somehow I managed not to save my shampoo or conditioners! Daily Beauty for Wildlife Beach Spray – Yep I will repurchase, once I get through the million products I’m working through. L’Oreal Everstrong Overnight Hair Repair Treatment – Nope made my hair flat. Eva – Nyc Therapy Session Hair Mask – Nice while it lasted not a repurchase, same as above. 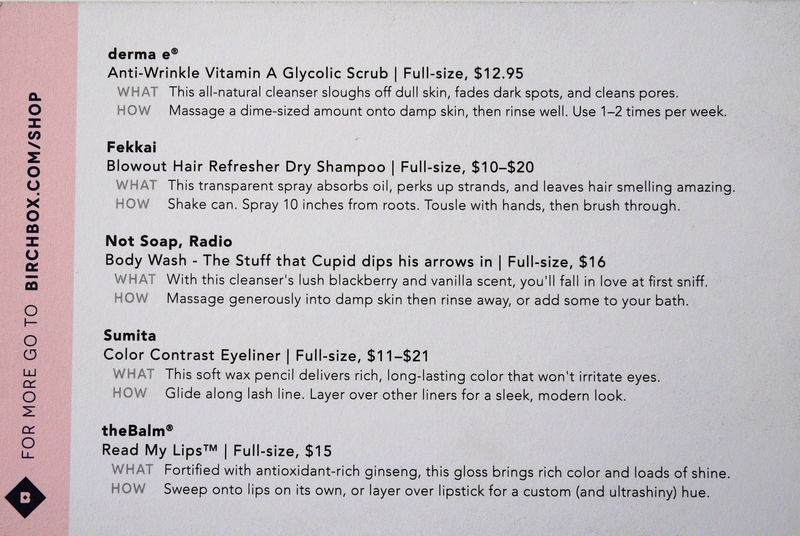 Random Samples – Molton Brown conditioner, Lush Hair Doctor – not purchasing any of these. Jan Marini Bioglycolic Face Cleanser – very affordable glycolic cleanser with slight tingle, repurchase at some point in future. Priori Gentle Facial Cleanser – expressed my love before, repurchase at some point in future. Reviva Brighten and Lighten – experiment which was pleasant and will keep this cleanser in mind when I’m seriously broke but don’t want to compromise on results. Nuxe Comforting Cleansing Milk – love the scent, repurchase at some point in future. Skin Blossom Gentle Cleansing Milk – nice but won’t repurchase. Vasanti Brighten up – read here why I won’t repurchase this cleanser. Dermalogica Precleanse – we’ve had on and off relationship, repurchase at some point in future. Clinique Take the Day off Makeup Remover – same as above. Merumaya Melting Cleansing Balm – Defo repurchase when I’m in London. 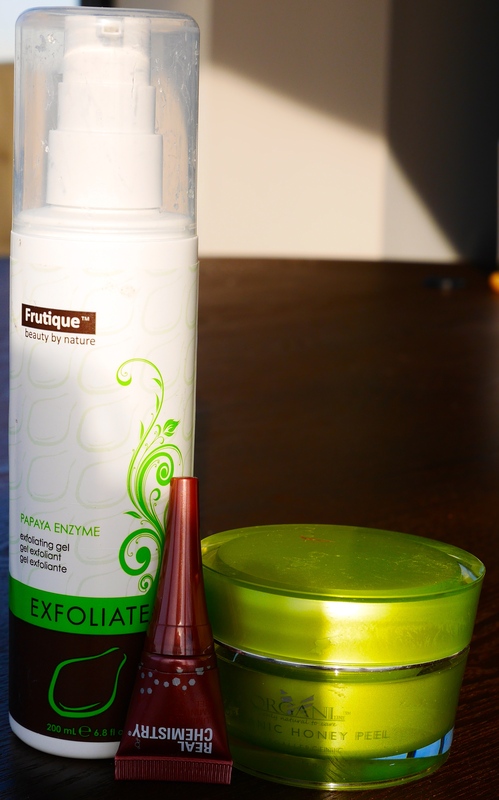 Frutique Papaya Enzyme Exfoliating Gel – raved earlier about it here, though not a repurchase. 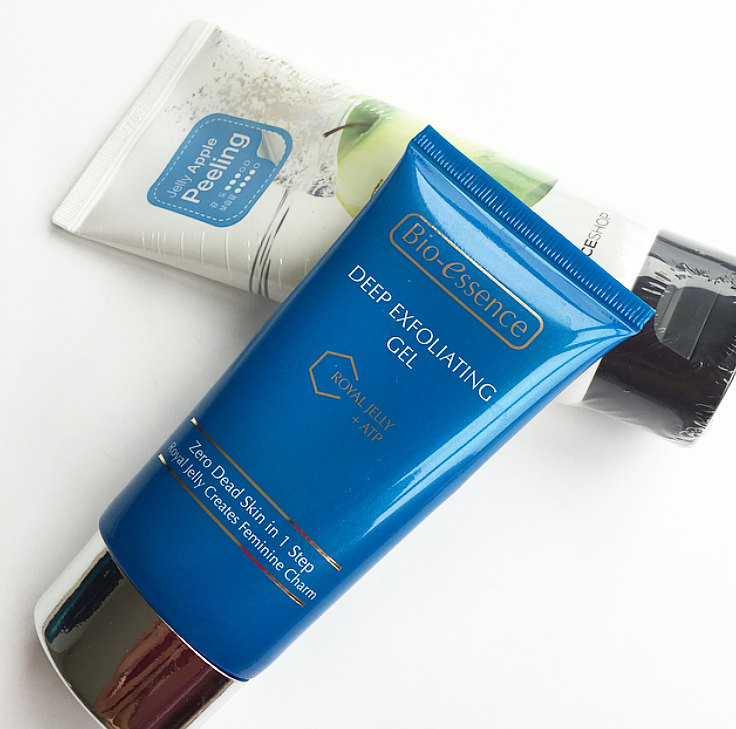 Real Chemistry Peeling Gel – trial from Birchbox, did nothing to my skin, therefore not a repurchase. Organi Enzyme Honey Peel – Extremely pricey but darn good. Can’t repurchase as it’s sold only in Australia. Neostrata Oily Skin Solution (2 bottles) – we’ve been consistent with each other and will repurchase at some point in future. Andalou Naturals 1000 Roses Floral Toner – nice while it lasted. 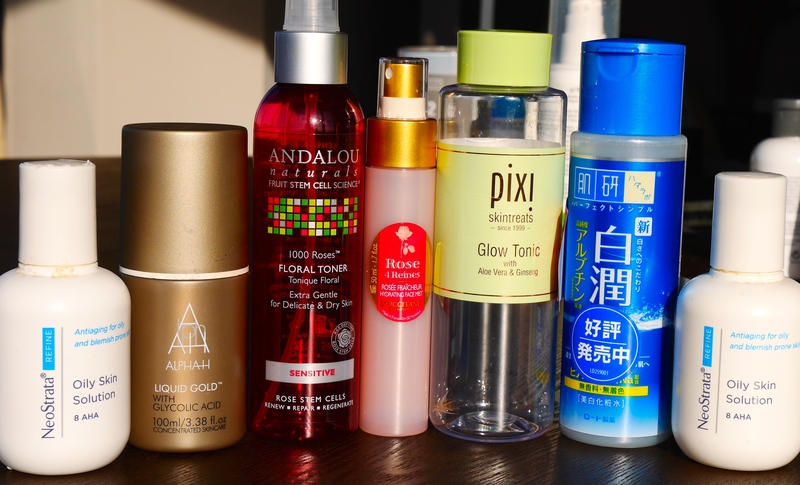 Pixi Glow Tonic – Love this product and working through the back up bottle now. Rohto Hadalabo Gokujyun Hylauronic Lotion – will repurchase at some point in future. Alpha H Liquid Gold Intensive Night Repair Serum – This has been repurchased for second time and it is FAB. Aesop Oil Free Hydrating Serum – Whilst it’s pricey, it lasted forever. Made my skin appear oilier hence not a repurchase. Juju Aquamoist Whitening Essence – experimental order from sasa.com which left me underwhelmed. The Body Shop Nutriganics Smoothing Serum – This is excellent as day time serum, working on my second bottle now. For localized spots in addition to La Roche Posay Effaclar Duo, I tried Aesop Control Gel (great product but too pricey for what you get) and Burts Bees Acne Solutions Spot Treatment (no repurchase, except giving a cooling sensation did nothing). Hydraluron – I have ranted about this endlessly….refer Here. Bioderma Hydrabio Legere – Excellent product, immediate nourishment and have a back up. 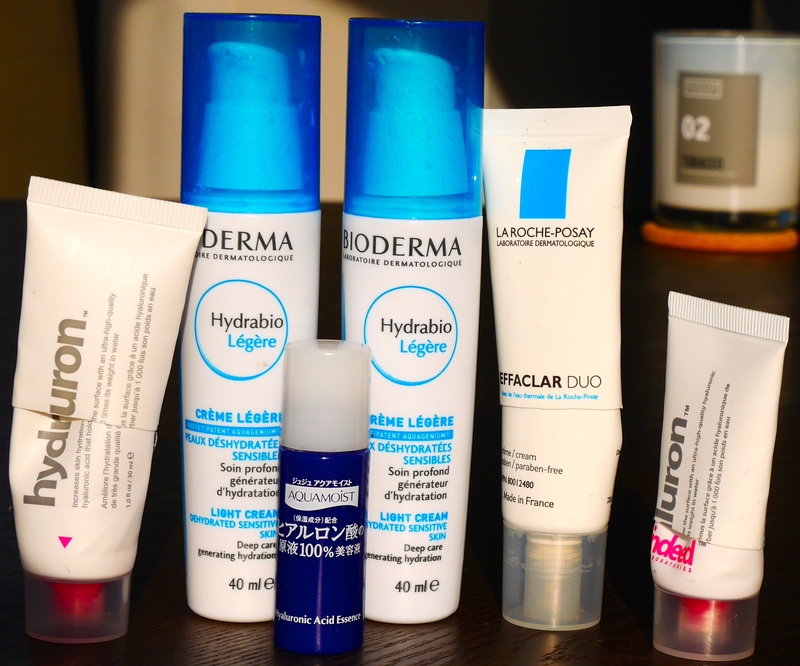 La Roche Posay Effaclar Duo – Lifesaver, always a repurchase. Juju Aqamoist Hylauronic Essence – experimental order from sasa.com which left me underwhelmed. 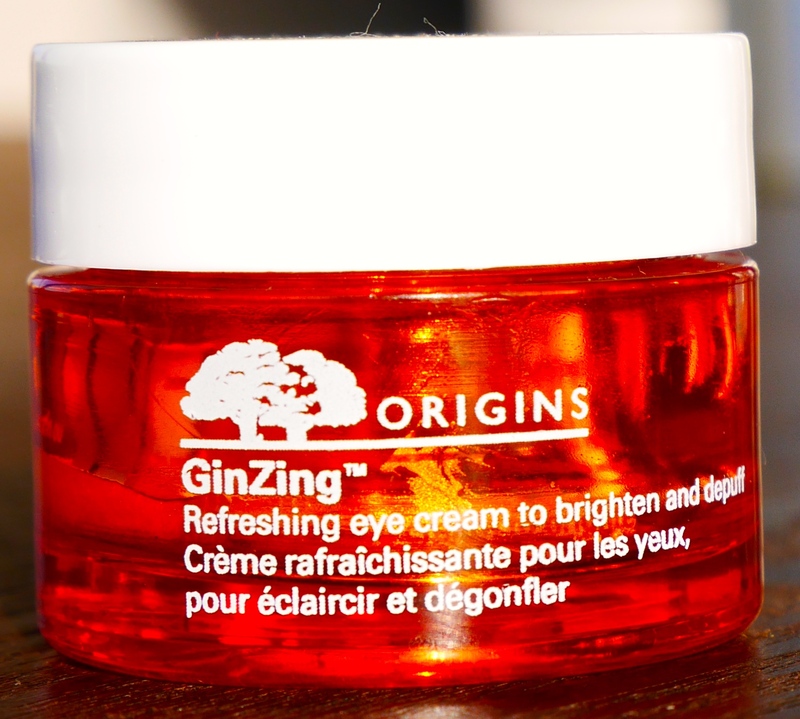 Origins Ginseng Eye Cream – Loved it, wanted to repurchase but it was out of stock. Hopefully when I finish my existing one I may come back to this. Laneige Water Sleeping Mask – working through my third jar right now and still loving it. Andalou Naturals Pumpkin Enzyme Mask – Holy smokes this stuff was good, but many similar products on market which I’m keen to try. Aveda Intense Hydrating Masque – Loved the scent, this was a trial pot but lasted me a while so I might take the plunge at some stage. 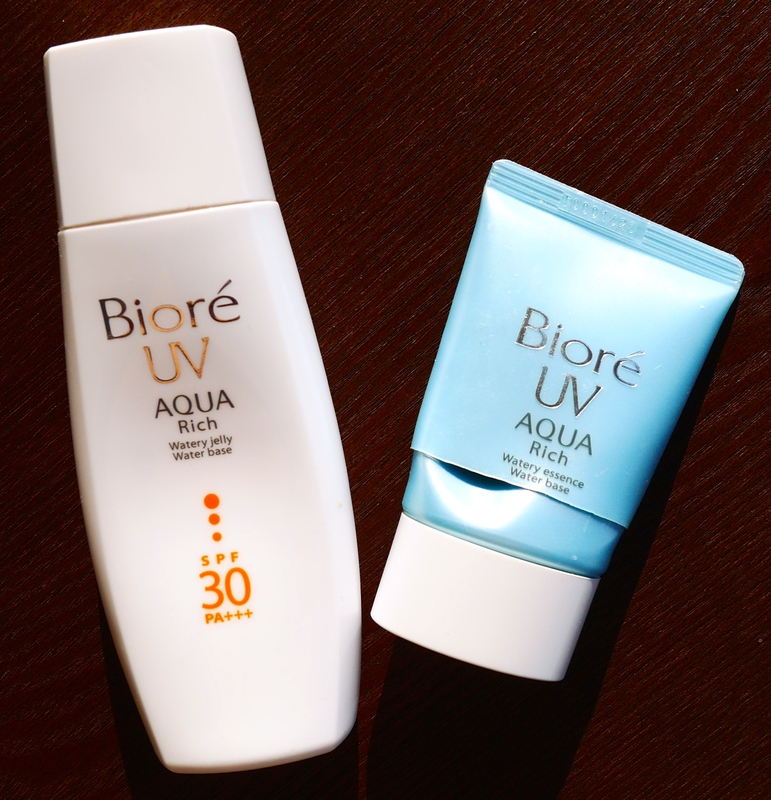 Biore UV Aqua Rich Jelly and Biore UV Aqua Rich Watery Essence, bantered on about this in my previous posts too. Revlon Colorstay Foundation – always there, one of my unsung hero. Lakme Absolute Foundation – plesant while it lasted. Bobbi Brown Creamy Concealer – In a committed relationship with this concealer, currently working through 2 of these simultaneously (one in purse and one in ‘concealer drawer’). Bobbi Brown Gel Liner Black – Loved it! Trying Maybelline now. Mac Paint Pot – Bare Study – this shade dried out too soon, not repurchasing. Nars Pro Primer – Defo repurchase. 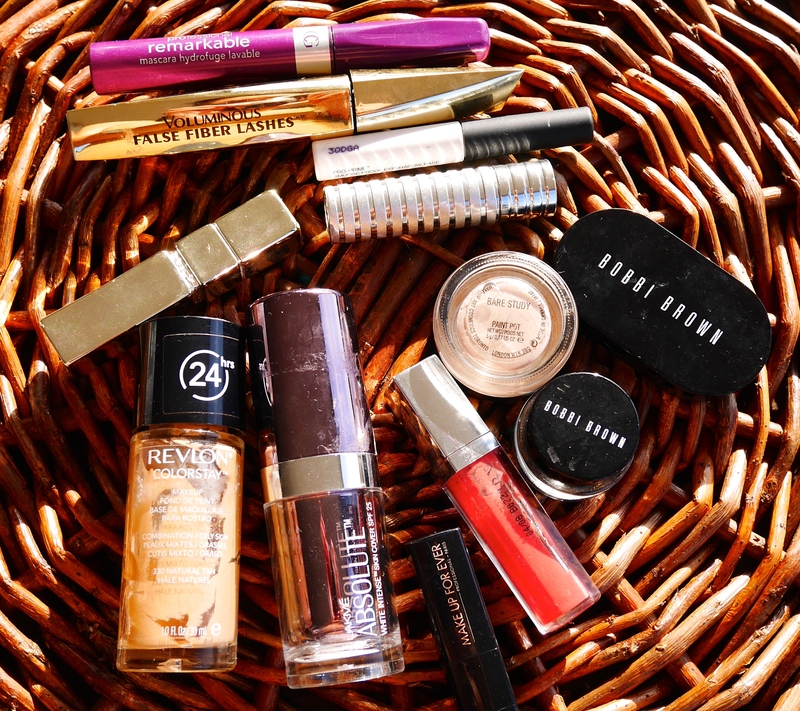 Guerlain, Clinique, Make Up Forever & Lakme Lipstick – Loved ‘em all while they lasted. No repurchases here. 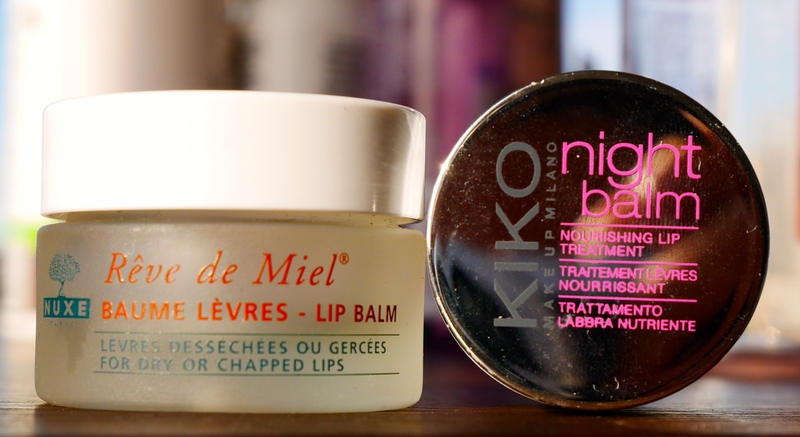 Kiko Night Balm – Nice but can’t repurchase till I travel to Europe. Nuxe Reve De Miel – we share a very committed relationship where I have backed up 3 more of these lovely pots. Kiehls Hand Salve – www.thebomb.com yes love this product and been using for 4-5 years now. Always a repurchase. 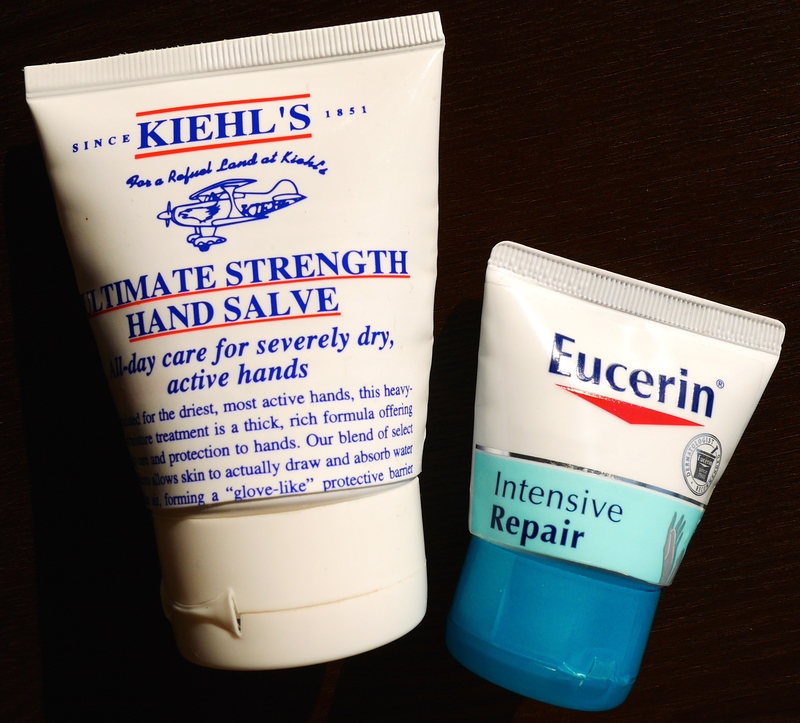 Eucerin Intensive Repair Hand Cream – by now you may have guessed anything with AHA and I’m all over it. Hope you all have a wonderful and safe New Year eve and may the new year bring you lots of love, luck, happiness, health, wealth, and peace in your lives.